This design was originally made using the linocut technique and then the image was repeated and screen printed onto a cream lightweight cotton canvas tote bag. This design is printed in moss green and navy colours. 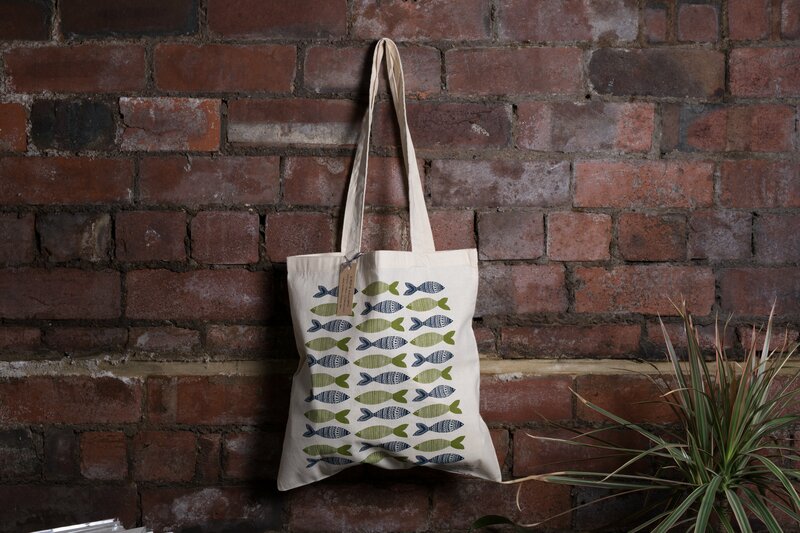 Great for a shopping trip or as a pretty hand printed gift.